This large A0 size blackboard is the perfect way to promote drinks, specials and other menu items in your pub, bar, cafe or restaurant. Ideal for displaying frequently changing menu items, the 8 removable chalkboard slats on this board can be flipped around or removed to promote another menu item quickly. 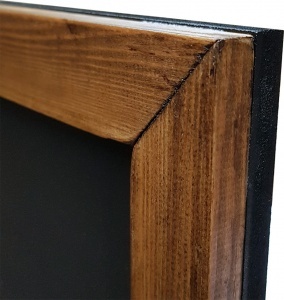 The board is made from 9mm thick moisture resistant MDF with a high quality matt blackboard finish and a 30mm timber frame coated in rustic woodstain finish around the edge. 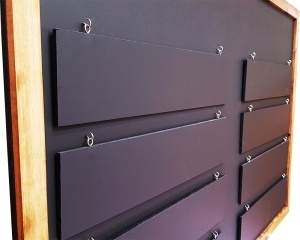 The eight slats on this changing display board are easily hung or removed using the pre installed hook and eye fixings. There is space at the top of the board to write your own heading (i.e. your business name). We also provide the option to have either 'Real Ales' or 'Wine' placed on the boards header in vinyl lettering for which there is an additional charge. Please select this option above if required. The size of this changing display bar board is approximately 1189mm wide x 841mm high (A0) The thickness (depth) of the board is 60mm. 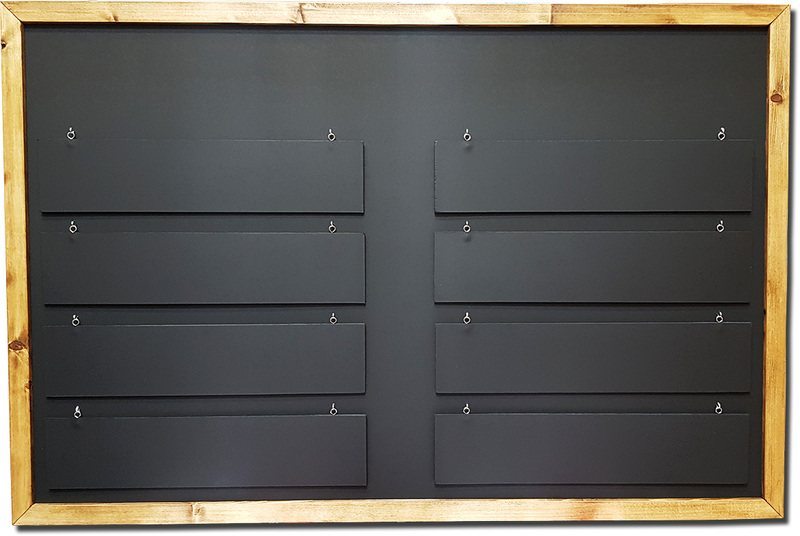 Additional slats are available for this changing display menu board in packs of 4. 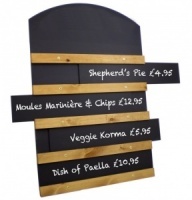 Wholesale and bulk buy discounts may be available on this A0 Framed Changing Display Pub Specials Chalkboard subject to your required quantity. Please call us to enquire.